Locale is one of Noosa’s newest spots to dine, having opened in late 2013 in place of Lindoni’s – the previous Italian in this quiet spot at the end of Hastings Street. The name has changed but the owners haven’t – Rio and Amanda Capurso, experienced in the Noosa restaurant scene, are behind Locale. It’s located only a short walk from the centre of Hastings Street but far enough away that it doesn’t feature on the must do list of every tourist. Rather it appears to attract locals and discerning foodie tourists like me. No expense has been spared on the interior – which wouldn’t look out of place in Sydney, Melbourne or New York. The dark wood, dim lighting, long bar and moody atmosphere inside offers a refreshing change from Noosa’s typical beach house or Parisian style fit outs. Outside you can dine alfresco in a courtyard style terrace – it’s off the main street so you don’t have the annoyance of pedestrians or cars at arms reach. The Italian menu is fresh, adventurous and unexpected. Sounds great, but what attracted me most was the respect for simple and local ingredients – they use organic eggs in the pasta and highlight this on the menu. Locale offers diners two options . Be aware of these because your choice will impact what you can feast on and how much you pay. Option one – formal dining, white tablecloth, order from: Antipasti $20 – $23, primi piatti $24 – $36, secondi piatti $36 – $39, insalate e contorni $10 – $18, I dolci $15 – $18, I formaggi $8 – $10. Option two – dine at the bar, high tables or lounge style seating. Here you can order from all of the above as well as ‘cicchetti’ (bar snacks) at $8 – $13 and ‘le pizze’ at $18 – $25. What did I do? It was early and quiet on a Sunday evening so I chose the bar. Wherever you sit your wine is served in Riedel glasses. This is a great move by Locale and immediately made me want to order a bottle of red. The wine list is long with plenty of excellent Australian and international options. 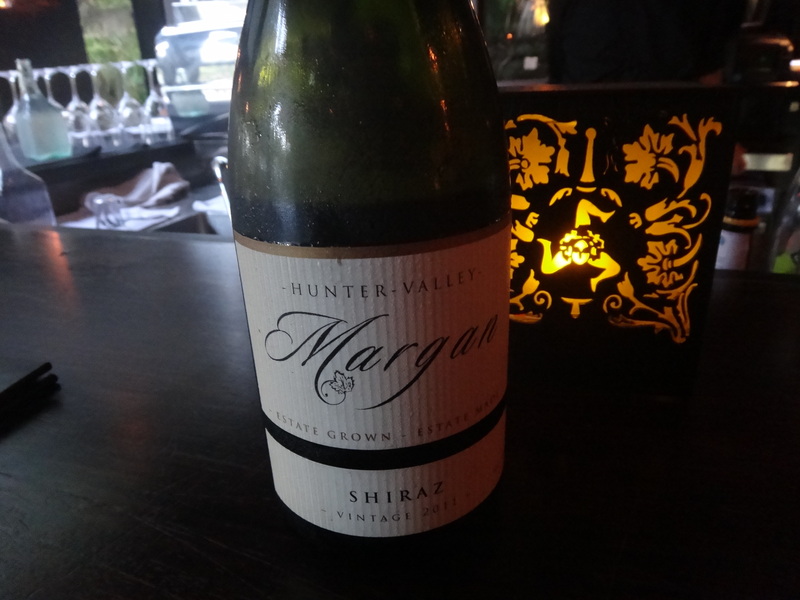 There’s a few great options in the $40 to $60 range – like the 2011 Hunter Valley Margan Shiraz that I landed on. Round 1: Gnocchi di Zucca, ricotta e patata dolce (baked pumpkin, sweet potato, buffalo ricotta gnocchi, rosemary and sage cream at $8) Vs Calamari (flash fried, chilli aioli at $10). The first two dishes, like others that followed, arrived quickly and we’re presented so well – in unique bowls that showcased the attention to detail at Locale. The gnocchi was the winner – the flavours of pumpkin and sage paired perfectly and I would have been more than happy to eat a big bowl full. 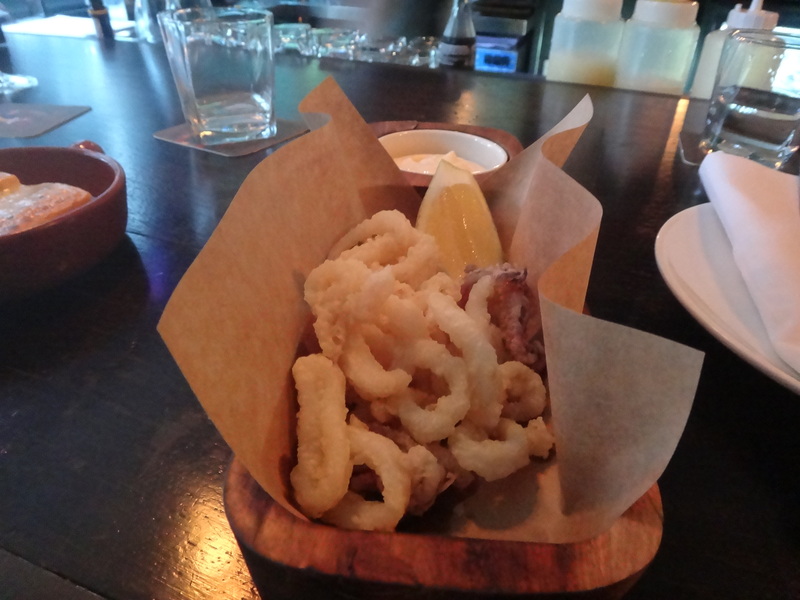 The calamari was good, slightly oily (considering it’s flash fried) but cooked well. The flavour was simply no match for the gnocchi. Round 2: Impepata di cozzi (South Australian black mussels, white wine, garlic, parsley at $8) Vs Polpettine con insalatina (veal and pork meatballs, heirloom tomato salad at $8). It was great that we could order a couple of dishes at a time with the barman. He gladly gave us his recommendations, which led to further debate as to what to order next. Round two saw us compare the mussels and meatballs. 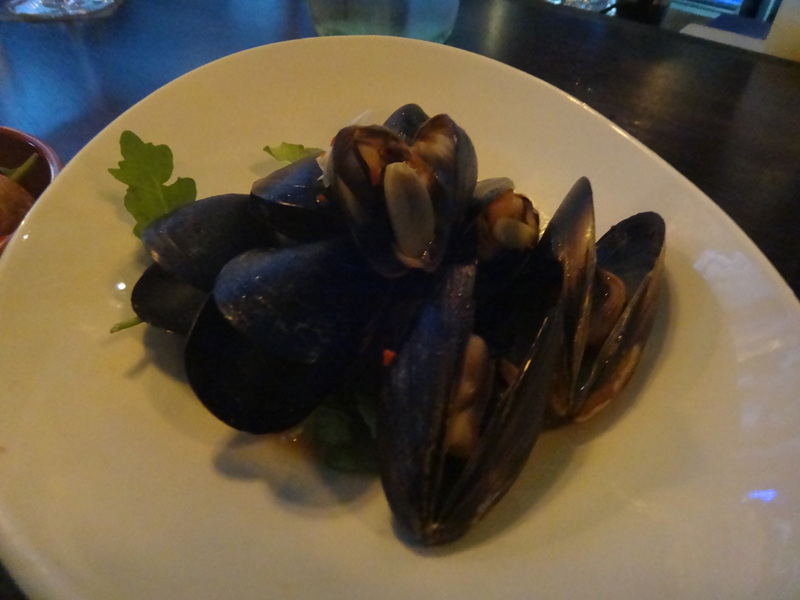 The mussels were a fair serving for the price – around 10 or so mussels for $8, and they were cooked in a tasty sauce. 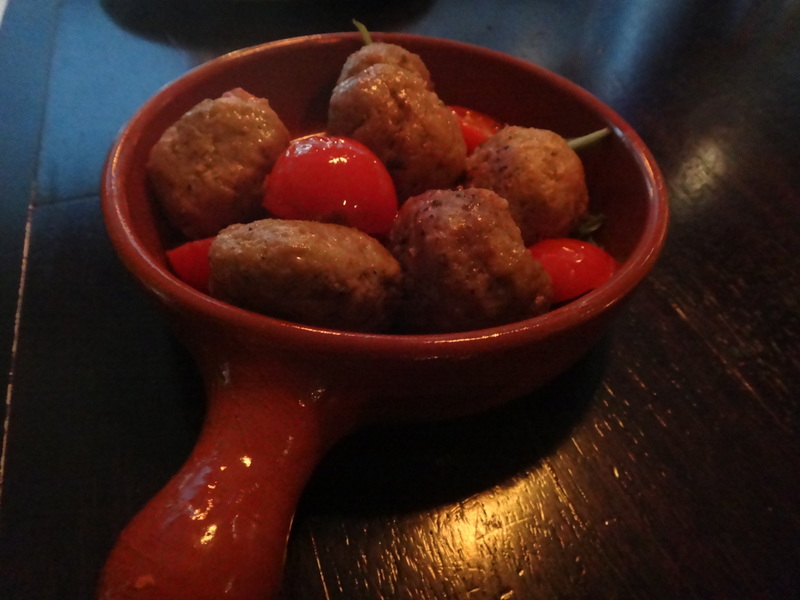 But they were outdone by the pork and veal meatballs – each one a mini flavour explosion. The heirloom tomato salad was an original twist that worked well. Round 3: Spiedini di vitello (marinated veal skewers at $10) Vs Baccala e patate (salted cod, beaten potato, lemon, olive oil, mayo, cos, pan brioche at $10). 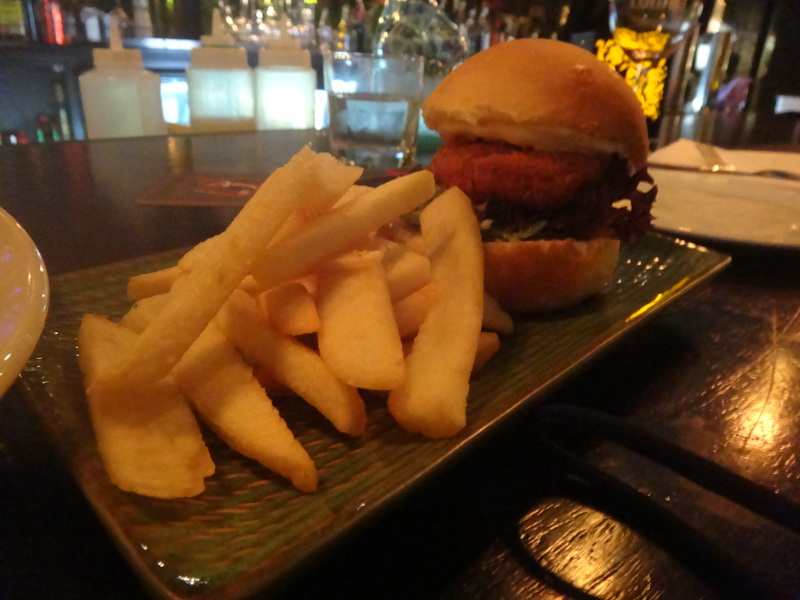 I was surprised to be served the salted cod on a slider with fries (I obviously didn’t see the word brioche in the description). The fries and bun were fairly average and detracted from what was very tasty salted cod. I’d have preferred just more of the salted cod. 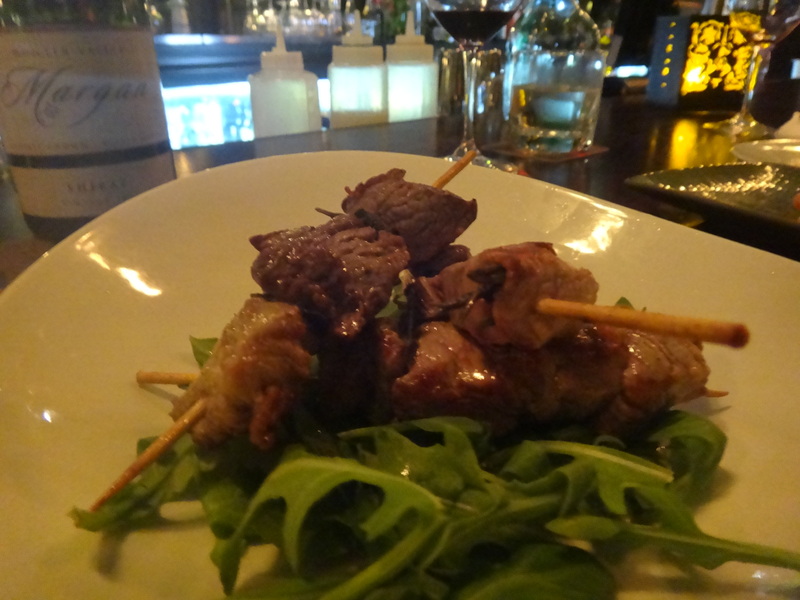 The veal skewers made up for it though and were the hit on this round. Very simple and cooked well. The pizza: ordering pizza to finish was always going to be a gamble. There’s lots of pizza in Noosa – but I stayed away for fear of disappointment. But at Locale the Italian gentleman front of house talked about how the yeast starter had been maturing for four months. 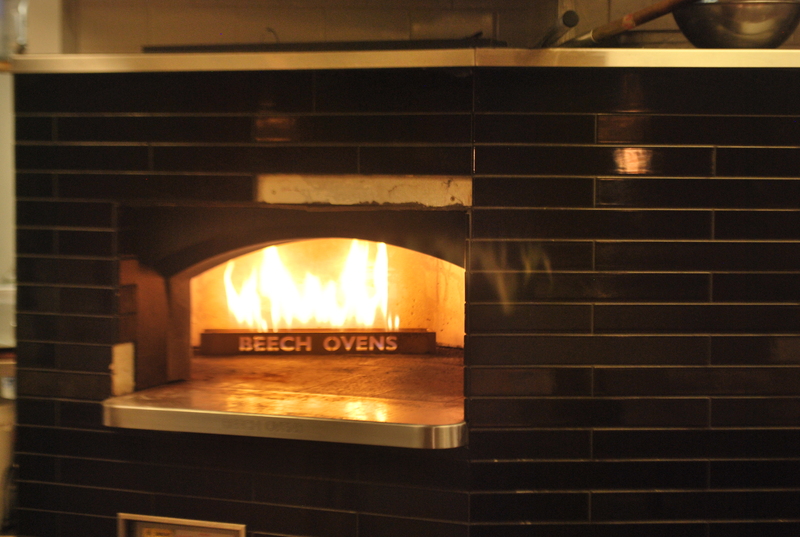 And we were obviously impressed by the roaring wood fired oven. So we choose the al fungi white based pizza ($23) for the uniqueness of cheeses (taleggio and stracciatella) combined with the cultivated mushrooms. It was an average size and served on a wooden platter. The verdict? Amazing toppings – better quality than those in many of Sydney’s top pizzeria’s. But the let down was the dough. It wasn’t light and fluffy, with an airy crust. It was firm and dense and just not what we had hoped for. But don’t let me put you off. Perhaps I’m just too fixiated on my dough being ‘Naples-style’ – where as Locale serves up a Southern Italian style dough. My verdict? If you’re just in Noosa for the day or night I’d be dining with a view of the water. 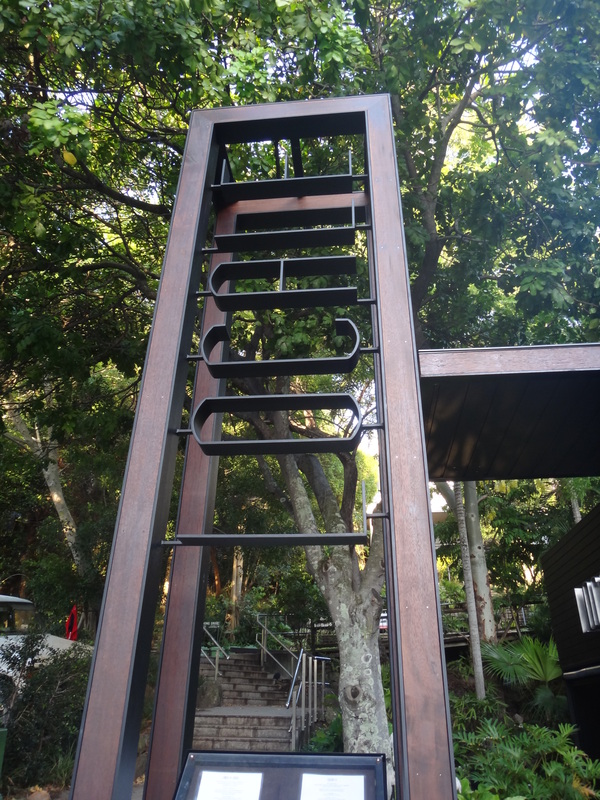 But, if you’re a Noosa regular or visiting for a few days then be sure to put Locale on your list. 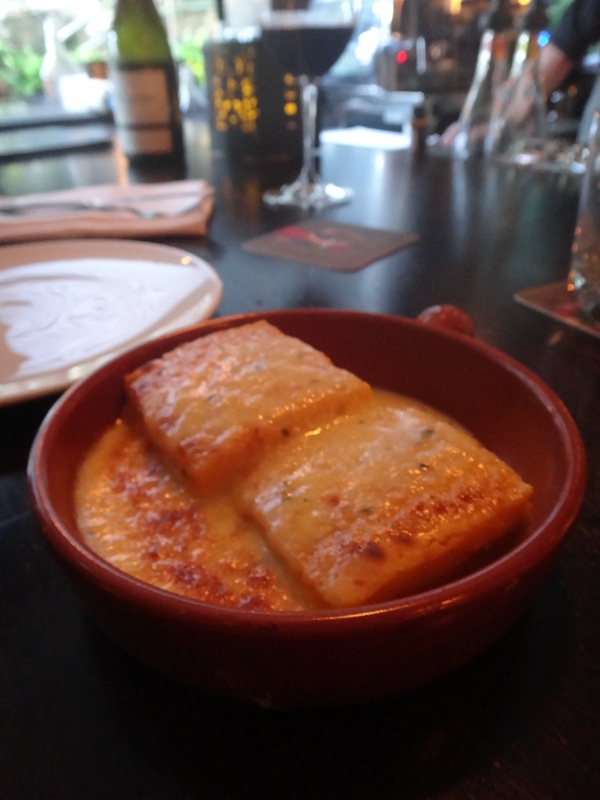 Top service, good prices and an extensive menu – I think Locale will become another Noosa gem. If you’re celebrating a special occasion or are not picking up the bill then book in advance and secure a table in the dining area, many of which are in the outdoor courtyard. I’d definetely book on a Friday or Saturday night or during peak season. If you’re looking for something more casual, are keen to share lots of dishes and don’t want a bill close to $200 then turn up without a booking and grab a table in the bar area. Sit at the bar itself or lounge on one of the low tables. 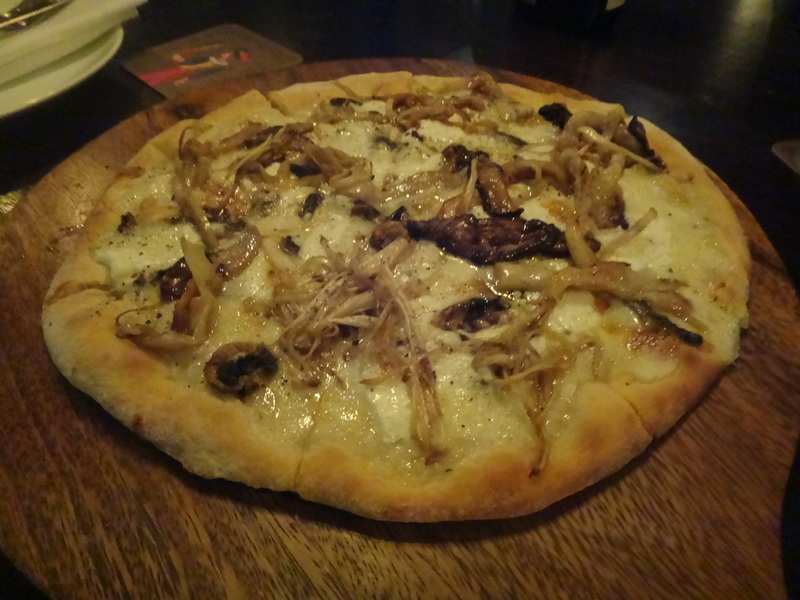 Tags: Italian, Locale, Noosa, Noosa Heads, pizza, resturant, review. Bookmark the permalink. Yum! That definitely looks like a fantastic place to visit! Thank you for sharing! Thanks Petra – my visit was a while ago but I do remember it was delicious.